Wish you could Order Higher Quantities for the Price Breaks, but have No Space to Store your Forms? Take advantage of ordering larger quantities at lower prices, and let Lancer Ltd. worry about the storage space! Free Storage - Yes FREE!!! 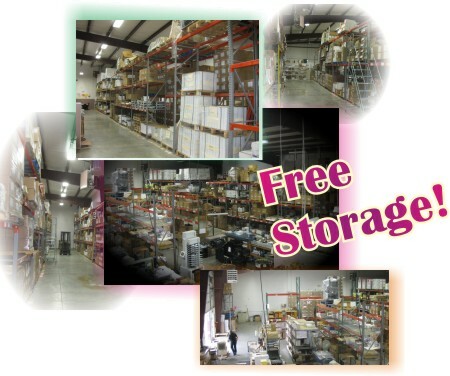 We offer FREE storage on any job done by us. There are no storage fees or handling charges! The only expense to you is the shipping charge, to send your product to you upon request. Call Lancer Ltd. today for more information. Pssst...did we mention it's FREE?